completely clear the soil from this area which has now dramatically transformed this section of the crag. A decent path has been put in place so it is possible to walk down onto the ledge above Birch Tree Wall. This work completes stage five of the clearance and reactivation project in this area. A lot more soil has been removed and a fair amount of loose soft rock and blocks removed. More work was done in the crack to the right of Birch Tree Wall Variation (Tree Root) of which a large loose block at the top of the gully was removed for safety reasons. 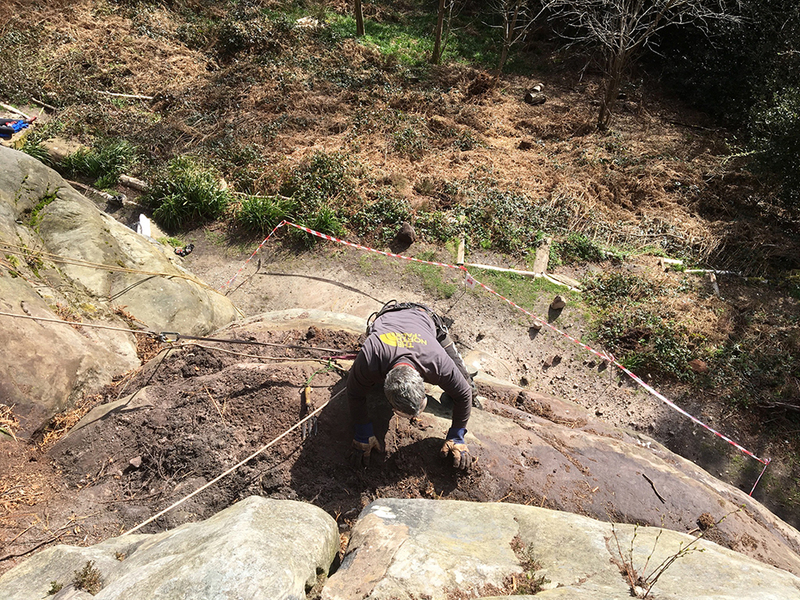 Some of the soil from the top has been placed under the crag and will quickly settle. 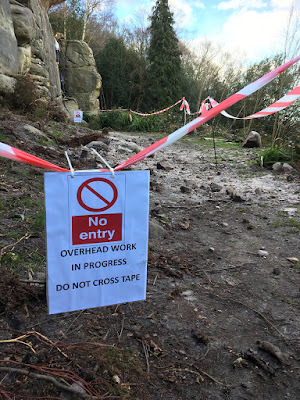 A lot more overgrowth from the top of the crag has also been removed, creating better access and opening up a larger platform at the top of the crag. Stage 6 of the project is a proposal for new bolts to be installed which will be placed to deal with a number of the climbs here currently lacking in appropriate climbing top-rope anchors. The area now needs time for natural weathering and cleaning and as such, it is requested that climbers avoid climbing on Wanderfall Wall and Birch Tree Wall over the next few weeks to allow for the rock to come into condition.